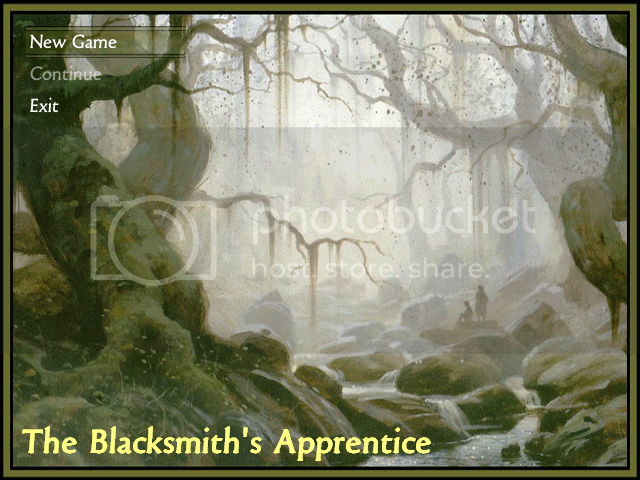 Add a screenshot to the game The Blacksmith's Apprentice - Version 1.5 released. Remember to download BOTH the Game and Audio files. See "Notes" for instructions. 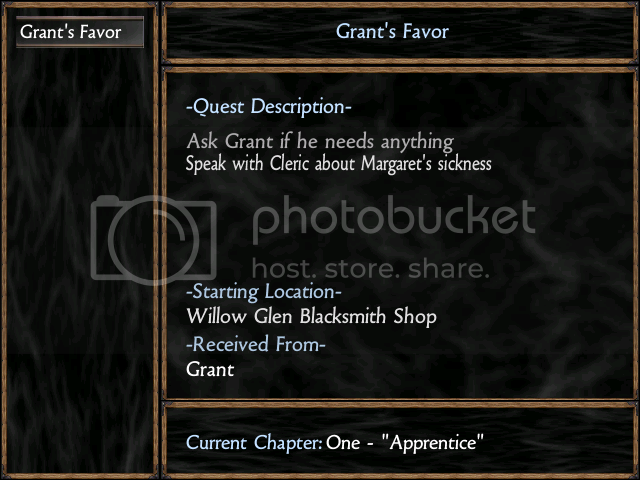 Game uses "OldTypefaces" font, included with game download; place font file in "C:\Windows\Fonts"
You are William, the son and apprentice of the local blacksmith in Willow Glen. Your quest begins with a simple request by your father - to travel north to the Dwarven Mines and bring back your father's yearly supply of coal. William has been eagerly anticipating the trip to the Dwarves for as long as he can remember. He spends his days working with his father in the smithy, learning the tricks of the trade. When he's not working, he spends as much time as he can with Charis Bloomfield, the farmer's daughter whom he hopes to marry one day. Skylark is William's younger sister. She is very jealous that William gets to go on a long trip to see the Dwarves, and she's not afraid to say so. She also has a crush on William's friend Arthur, but about that - she IS afraid to say so. Whereas William is the serious one in the family, Skylark is the joker. While he's away on his quest, she plans on learning everything she can from the local cleric, Belarus. Arthur has lost two mothers... first the one who gave birth to him, and more recently his father's second wife, the woman he has called mother for most of his life. He is learning to be a hunter, and can't wait to leave the safety and tranquility of Willow Glen. He hopes to join William on his journey to see the Dwarves. Charis is the farmer's daughter, a hard-working girl with a simple dream - she would like to be a midwife someday. Of course, it wouldn't bother her if William were a part of that dream, but she would never tell HIM that. Even though Charis knows how much William has been looking forward to the trip to see the Dwarves, she will be sad to see him leave. Belarus is the cleric in Willow Glen. His healing powers are renowned across the kingdoms, but he must be careful when using them, now that magic has been outlawed. He has been a close friend to William's parents for many years, and would do anything to protect them and their children. A loathesome and depraved man with an insatiable lust. 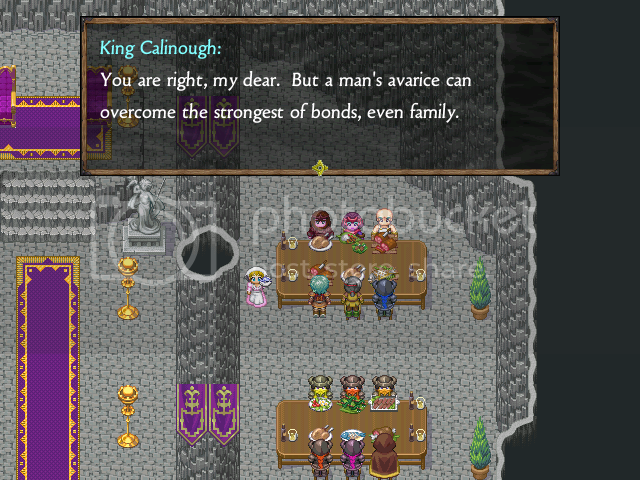 Once a war hero for King Garin, now he serves a new master: anyone willing to pay enough gold. He travels alone, and he carouses alone, relying only on his sword and wits for protection. 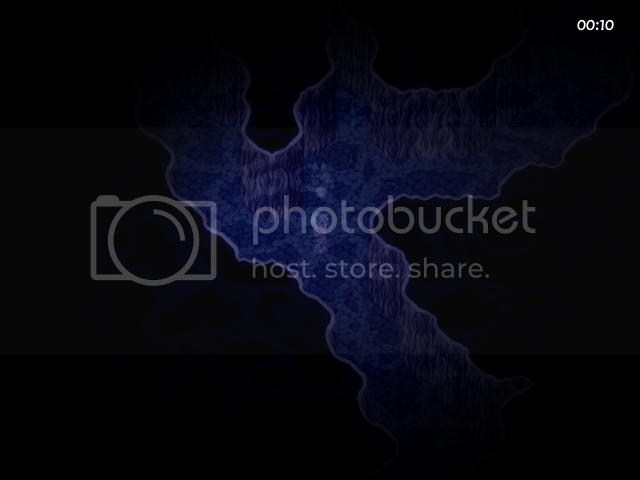 Traveling in an underwater cave - when the timer runs out, you run out of air! 2. 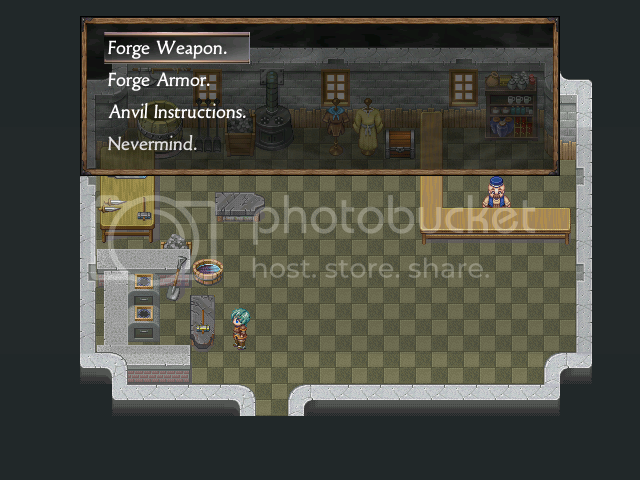 Run the self-extracting file "The Blacksmith's Apprentice.exe"
Character Stats impact game outside of battle - Strength determines duration of breathing underwater, dexterity determines lock-picking, etc. This game is my own personal project, approximately 30% complete, and the demo has around 10 hours+ of play time. I would like to get feedback on what you liked, didn't like, bugs, play balance, etc. Enjoy! Last edited by Juno on Tue Apr 14, 2009 9:49 pm, edited 20 times in total. Looks pretty awsome... I'll try it. 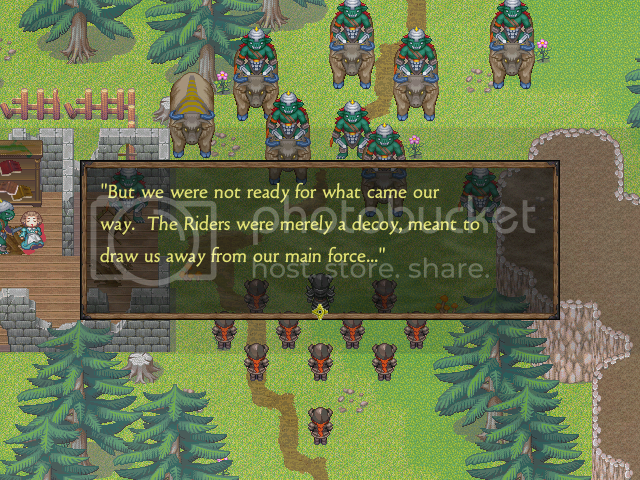 It might be wise to include the fonts you used in the game. I'm one of those people who fall under the category of "not having it so I can't see any text." Sorry, Rubicant... I updated the main post to include the font needed. Excellent. Gonna play now, be back with impressions. 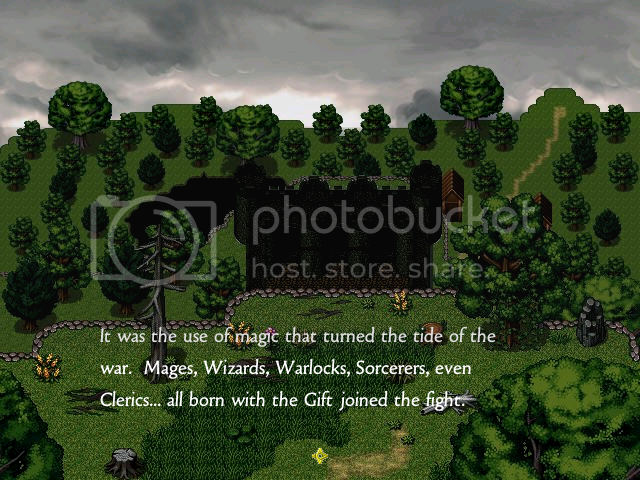 The bad: FETCH QUEST CENTRAL in the beginning, so much so, that I got bored and exited the game for the moment. In a little while I'll continue it. Last edited by Rubicant on Wed Apr 16, 2008 1:32 am, edited 1 time in total. I've posted an updated version, with a slight modification. I streamlined the first part, removing one of the more "fetchy" quests. The first 10-15 minutes is still deliberately slower than the rest, as its purpose is to introduce a story that will take place over several years. Well, honestly rubicant. 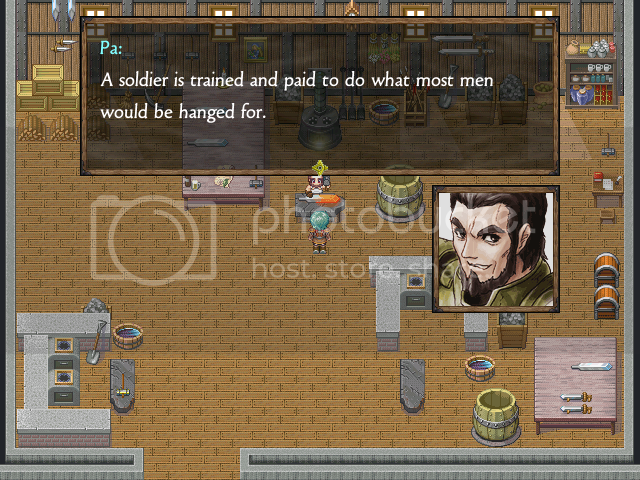 Fetch Quests and chores are generally what protagonists are capable of in the beginning of the game. I mean, If your father just jogged up to and commanded you to destroy the goblin war band, "I'm sure you can handle it", would not be very realistic. or a series of events. Chores are fine, but not to many. 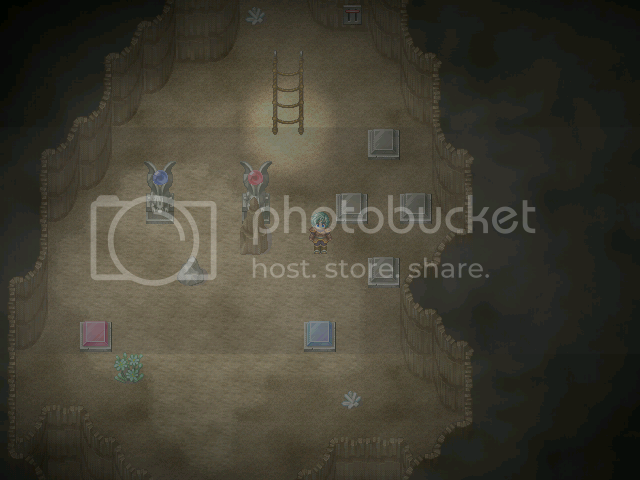 http://i253.photobucket.com/albums/hh73/rpg-maker-guy/Male_Ritualist_Dance.gif[/img]Has Guild Wars gone to far? But the game looks awesome alrogether. I do not believe that at all. 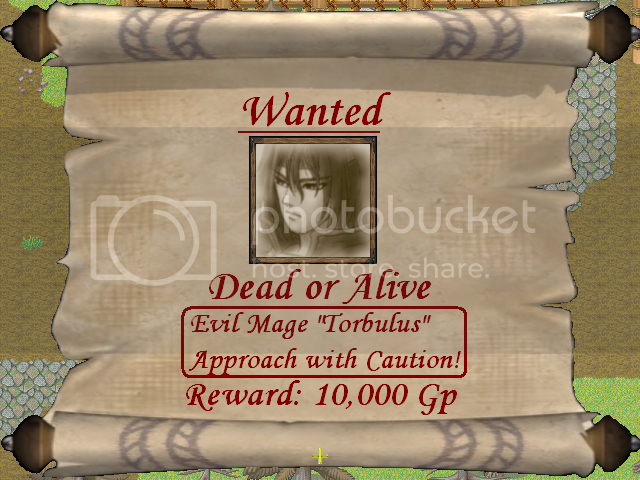 There is no reason that any game cannot start out without boring, tedious fetch quests. It doesn't matter if the character is meant to be living a "boring" life in the country working for his father at the local smithery. Having several fetch quests in a row is simply bad design, in my opinion. But as I said, barring that small, easily-fixed problem, the game interests me and clearly the creator pays attention to the small things. 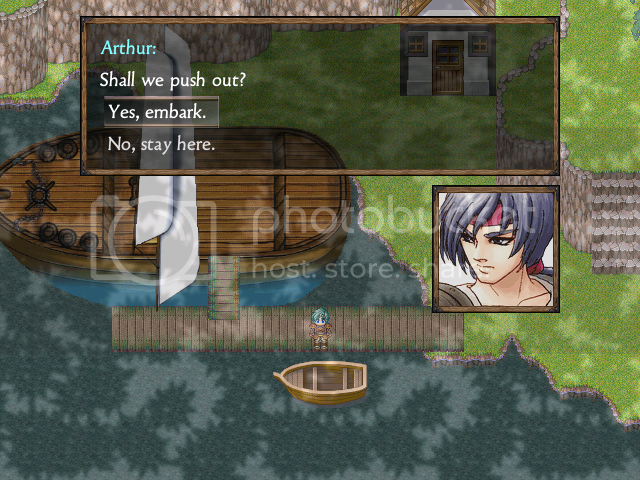 My rpg "The Blue Star"
Last edited by miss matcha on Thu May 01, 2008 5:37 am, edited 1 time in total. I must be pretty dull but I cannot find a rope ladder. Help please. Wow a 10 hour+ demo? I must DL this. You're not dull diannew... There's no rope ladder in the demo, because I haven't defined the area to the East of that bridge yet. I hope you're enjoying it otherwise! Why make a demo when your game is already 10 hours long? How long exactly are you planning to make this game? Thanks for the info. Finished the demo and look forward to the full game. How much longer until it's released? sounds interesting.. i too am a fan of a deep twisting plot. and i'm glad someone else is trying to make a long game. downloading it now. let us know how long you plan on making it. The first portion of this game (which I'm calling "Book I") took me almost 2 years to make, and the game will probably contain 3 (maybe 4) books. Granted, this was my first project so I had the RMXP learning curve to deal with when I first started. Development has gotten a lot faster, and I have the entire plot defined from start to finish, but it's just me so I don't know when it will be finished. I will post each book as I complete it, but I can't give anyone a real good ETA. (That's one way I'm like Blizzard). As for game length, probably around 30 hours, based on what I've got mapped out. @Diannew (and anyone else who's finished the demo): I'm really glad you finished it! Wow! I'd love to hear your thoughts on it. What did you like or dislike? Did the plot move at a good pace? How was the play balance? Last edited by Anonymous on Sun May 04, 2008 11:12 pm, edited 1 time in total. 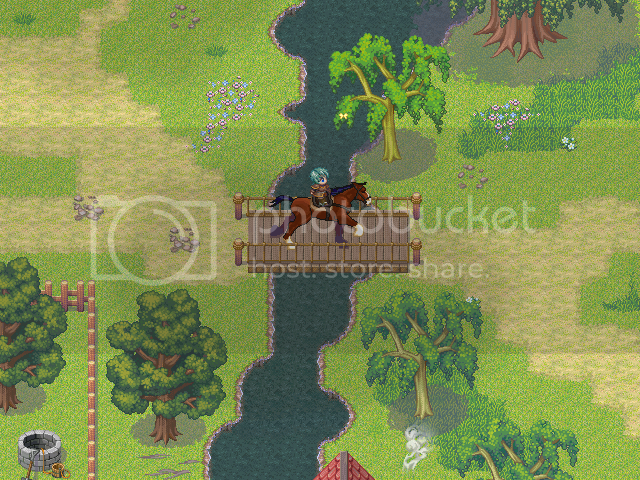 I've made a minor update by adding "Thistle", the family horse to the game. During the first day, William will get to ride Thistle as he completes his various errands. If you've already played through the game and you want to try it out, you'll get to ride Thistle within the first two minutes of play. Otherwise, you haven't missed anything. This will probably be the last update for a while. I wanted to post what I have now to get feedback, and to make the game better. I'll be focusing on developing new areas and furthering the plot, and I don't want to post an update unless I've made significant progress. I will be checking this thread often for play bugs, balance issues, and to respond to feedback, though. Thanks a bunch to those who have played! Adding Thistle to help you with errands sounds like a nice touch. Getting to ride a horse is a nice bit of icing for those early quests. Fun game, played the demo until William came out of the coma.....one thing tho, I managed to defeat the Salsaren before returning to Willowglen....but I didn't get the ring from her, the Quest was still in my Quest log, and she was still in the cave when I went back a second time. There is a theory that I wasn't supposed to be able to defeat her at all yet, I did it by poisoning her with a poison arrow, and waiting for her to die 100 +/- hit points at a time, while staying alive by using the revive potions (forgot what they are called already). None of my strikes did any damage (0), but eventually she died, after Arthur and William revived each other as she killed them both one after another repeatedly. Lucky she couldn't kill both of them at once, and I almost lost anyway due to her confuse spell, but got really lucky when she killed the one she confused, instead of the other, or I would have been unable to revive and lost on the next round. Is this a bug? My boyfriend insists it's a mistake, and poison should not work against a boss enemy like her, and it may take another weapon or item to defeat her, found later in the game. Anyway, the quest was not solved, and I just wondered if you knew about this. this game is great, I love all the side quests and large areas that you can explore. One thing that bugs me though were the monsters, I never battled and lvled up enough before I went on the first caravan and once I got off it I couldn't go back to train on weaker monsters. So I ended up dying a bunch :(. Awsoem game though! Wow, I didn't think it was POSSIBLE to defeat the Salaseren with what I gave you in the demo. Good job! As for your question about the ring, I've added a section called "Notes", because there are a handful of quests that you receive in the demo, but you cannot yet finish. Getting Angus' Ring from the Salaseren is one of them. And it wasn't really a "bug" that you could defeat the Salaseren with poison, more of a balance issue that I will definitely correct. Thanks a bunch for the feedback. I think I ran into a problem. I'm at the garrison and the part where you need to make a distraction, I got the key and I got the three rats out of suzy's basement but I still can't unlock the gate, Arthur just says I should get all the rats out of the basement when I try opening it. Last edited by Anonymous on Sat May 17, 2008 10:19 pm, edited 1 time in total. Last edited by nick5674398 on Sun May 18, 2008 3:01 am, edited 1 time in total. I don't know if anyone has mentioned this yet...but the very first building I entered, I could not get back out of. There was no transfer event. Unless the version I downloaded isn't correct, because I did notice there was no introduction. Sorry about that, in the previous version I posted, I forgot to return the "Player Start Location" to where it belonged. I've uploaded the fixed version now. Sorry to those people that have to re-download! Last edited by Anonymous on Mon May 19, 2008 4:16 am, edited 1 time in total. 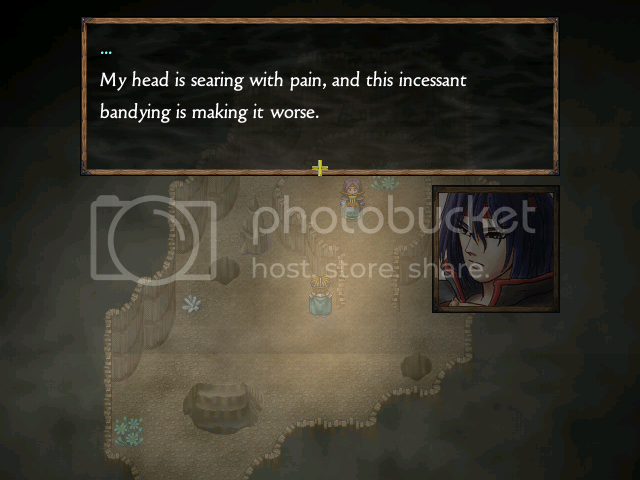 Wow wasn't expecting something so early in the game. In Leiv's town, theres no transfer event to leave the general store. 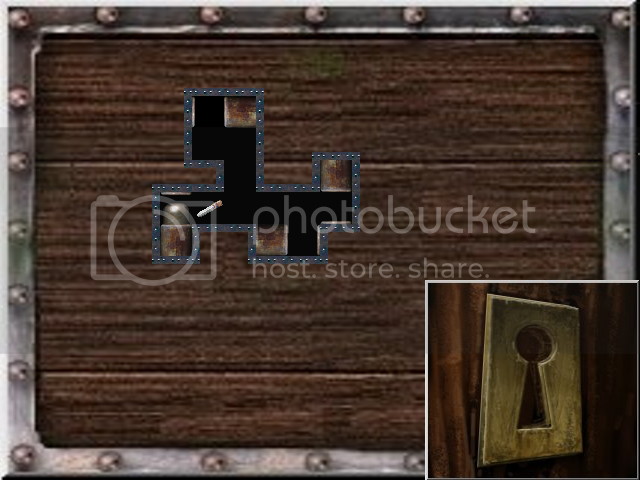 As well as the building right next to player start location, and the 2 building directly below the Inn, the one with the spade and the one next to it. EDIT: actually ya know what? All the buildings EXCEPT the INN have no zone change to exit a building. OH, and if you go right outside the village in any direction and come right back in, it's suddenly lucious and green summer. Before it was winter... Hmm. As a matter of fact, with the version I have which I'm assuming is the most recent, I can't do anything unless i open it in the editor and add in those zone warp tiles, because the monsters outside the town in any direction kill william in atleast 2 hits, most 1. 10+ hours of gameplay and its so bugged in the first 2 minutes I can't proceed. Last edited by midir4000 on Mon May 19, 2008 11:00 am, edited 1 time in total. You must have downloaded the bugged version just before I uploaded the fix (The Player Start Location was in the wrong spot). The problem you described was fixed before you posted about it, but you'll have to re-download. One question for you: How are you able to open it in the editor? I encrypted the data before posting, so I didn't think that was possible. Last edited by Anonymous on Mon May 19, 2008 2:10 pm, edited 1 time in total.